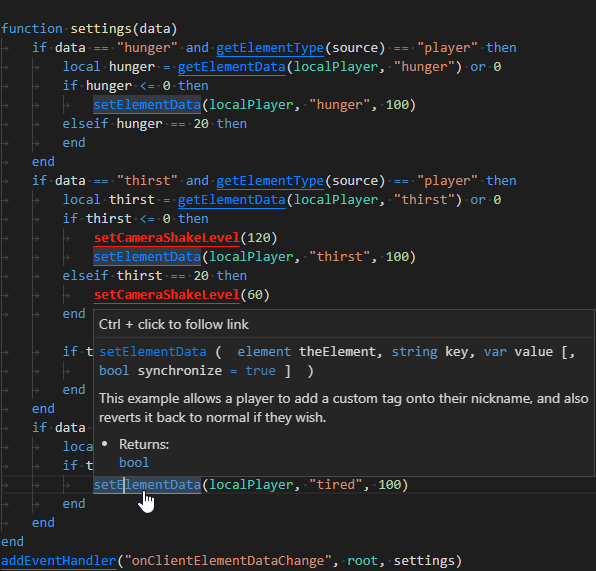 Visual Studio Code>Programming Languages>MTA:SA LuaNew to Visual Studio Code? Get it now. 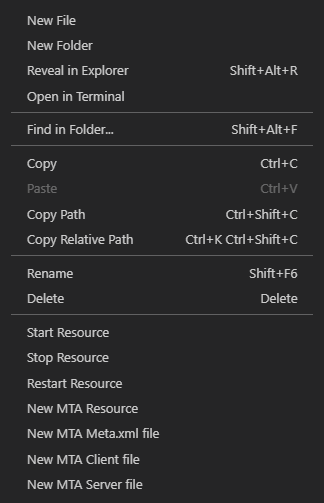 MTA:SA Lua is a VS Code extension to add syntax highlighting, code completion and other useful functions for MTA San Andreas LUA to VS Code. When adding new client/server-side files should the meta.xml automagically be modified? 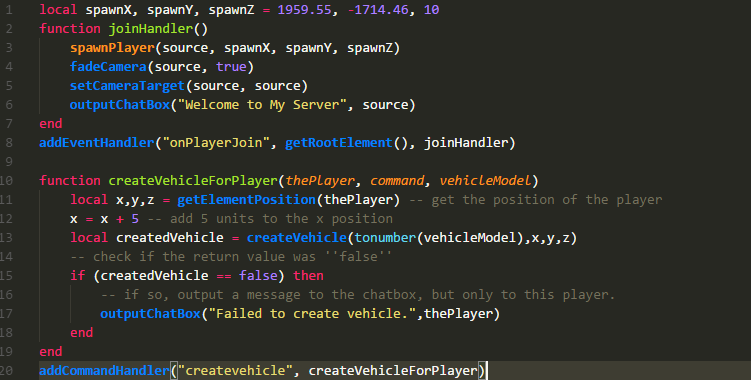 Thanks to 50p for the sublime text syntax highlighter. Which inspired me to create the VSCode extension.